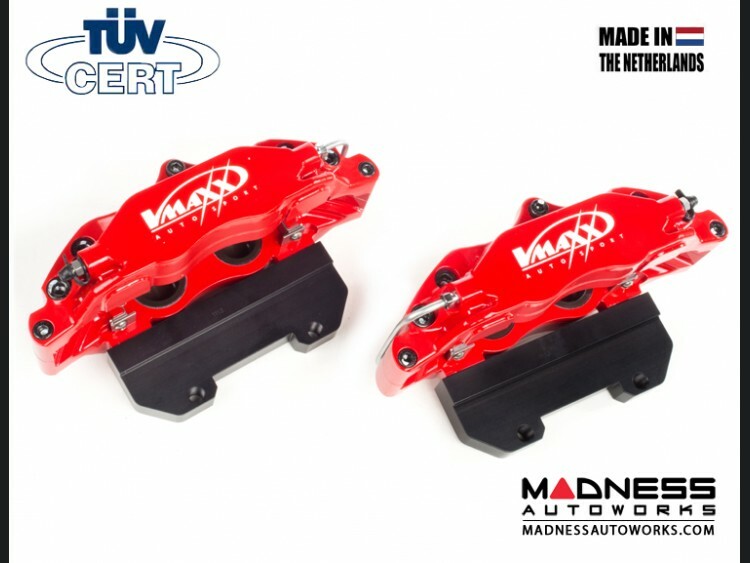 V-MAXX - Pay less, Get more! 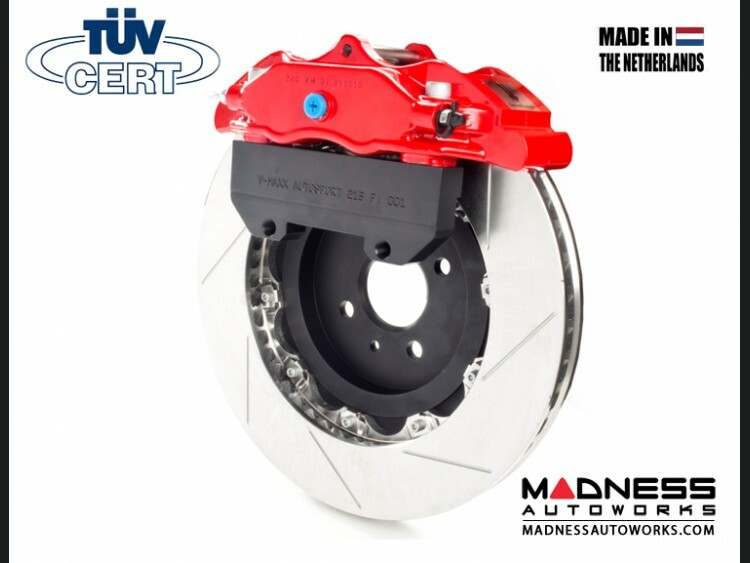 This item has the strict German TüV Approval! 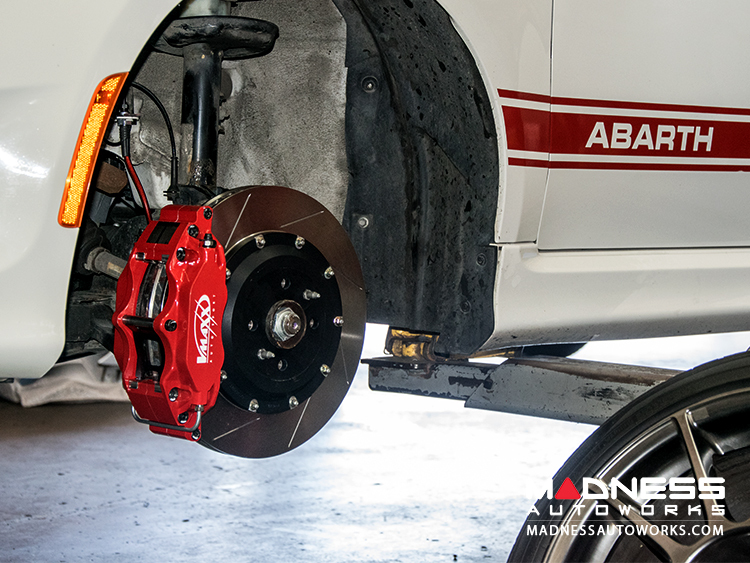 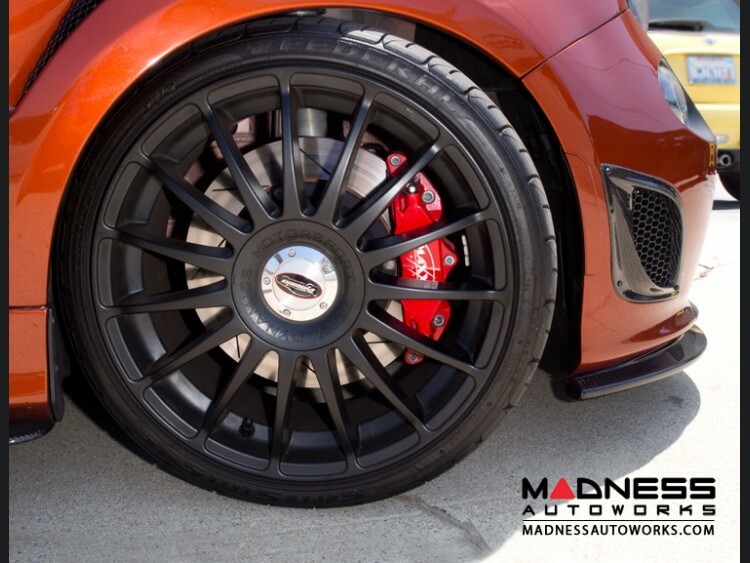 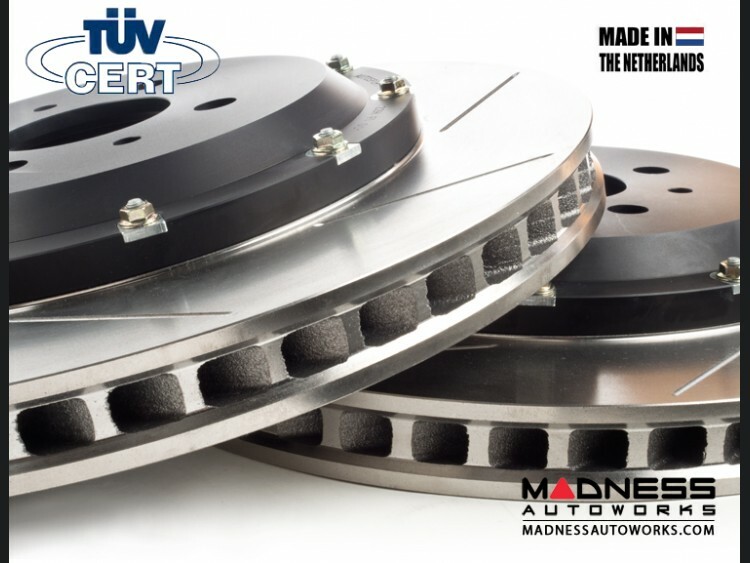 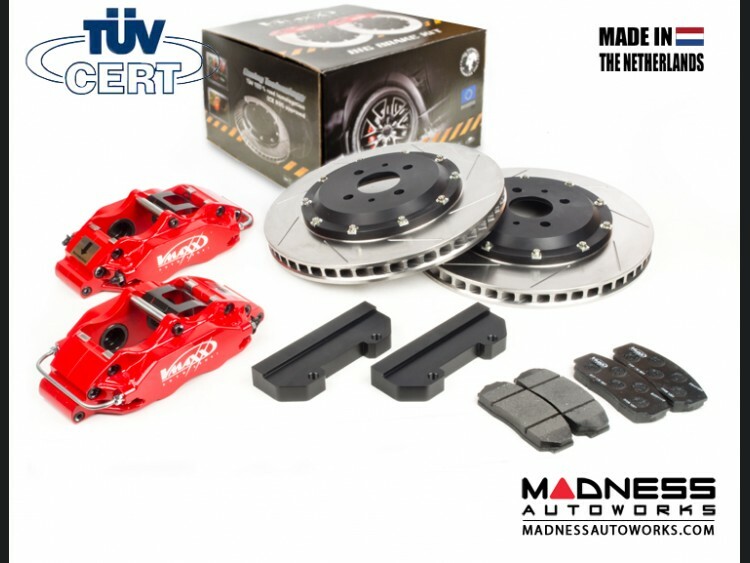 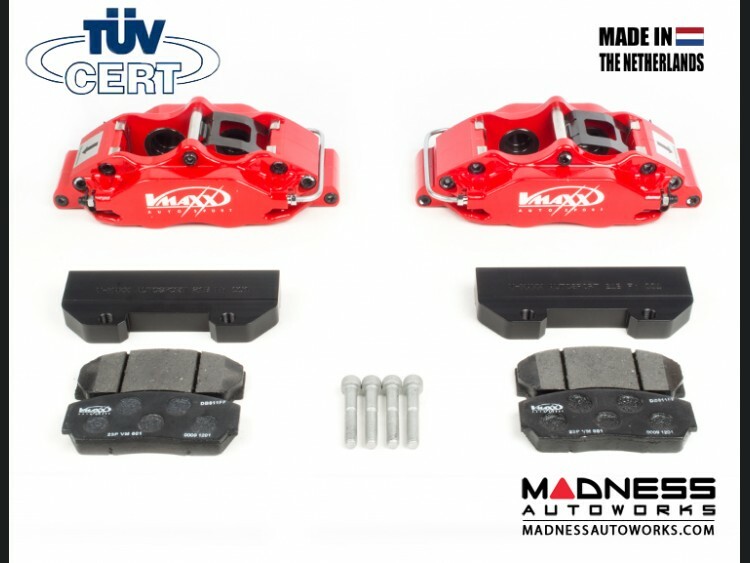 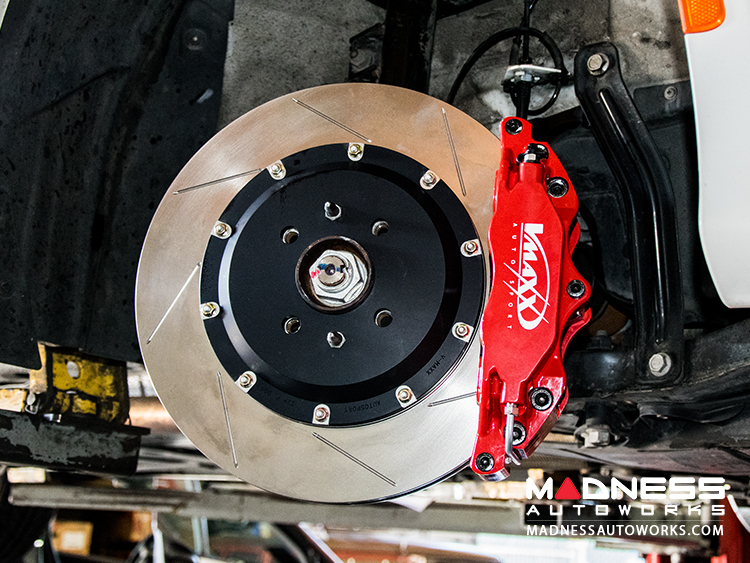 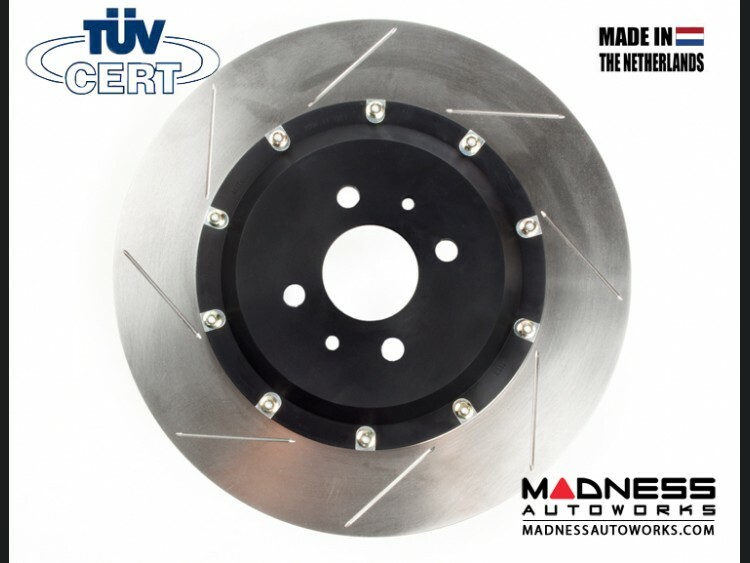 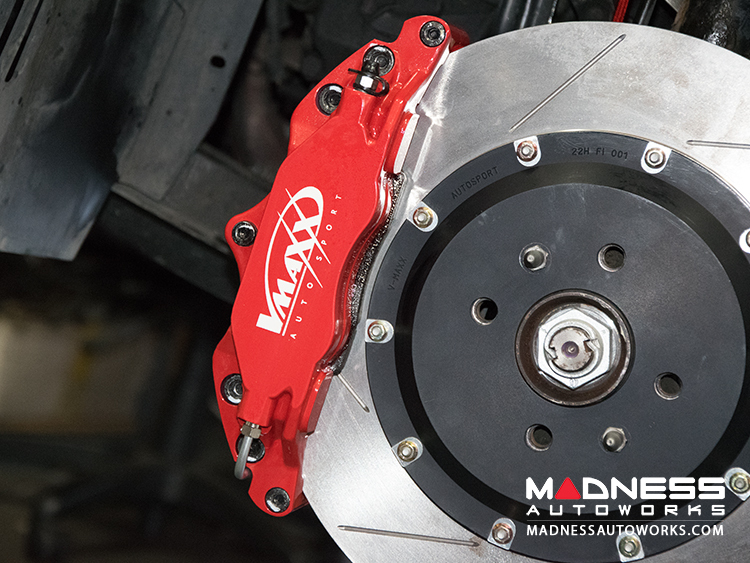 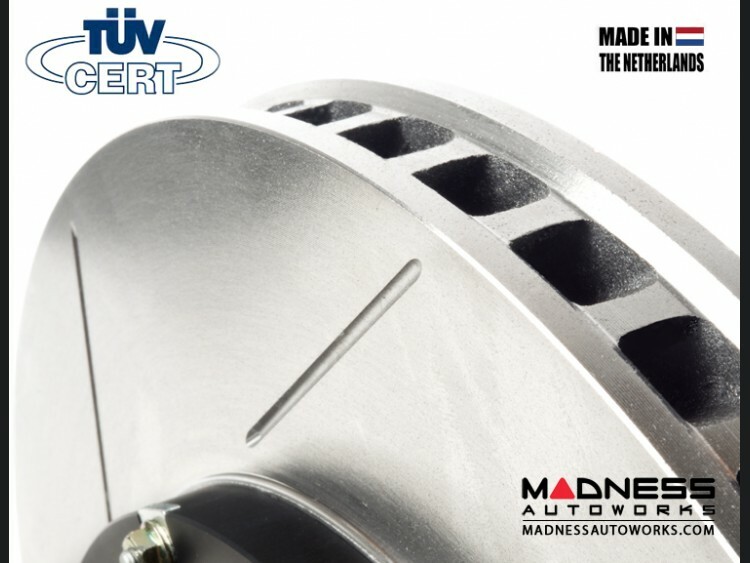 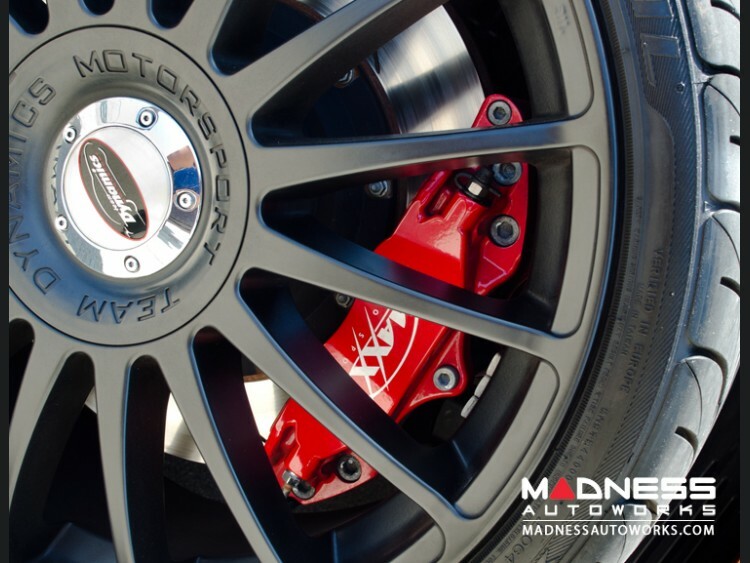 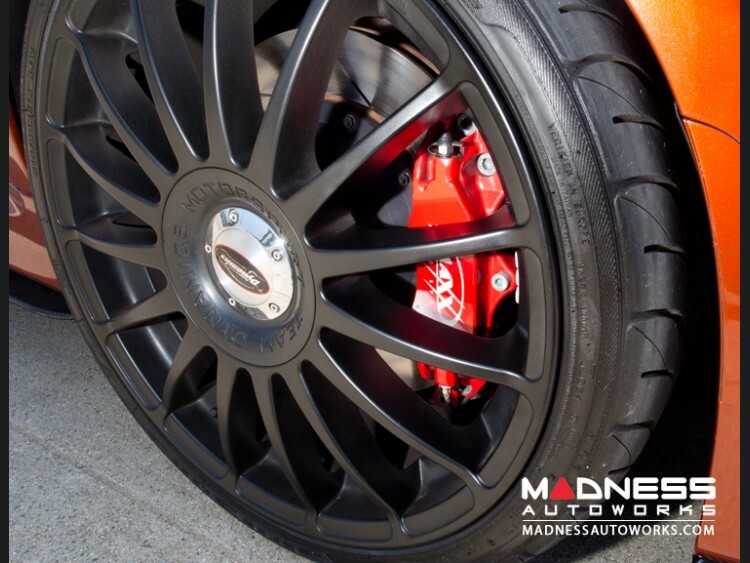 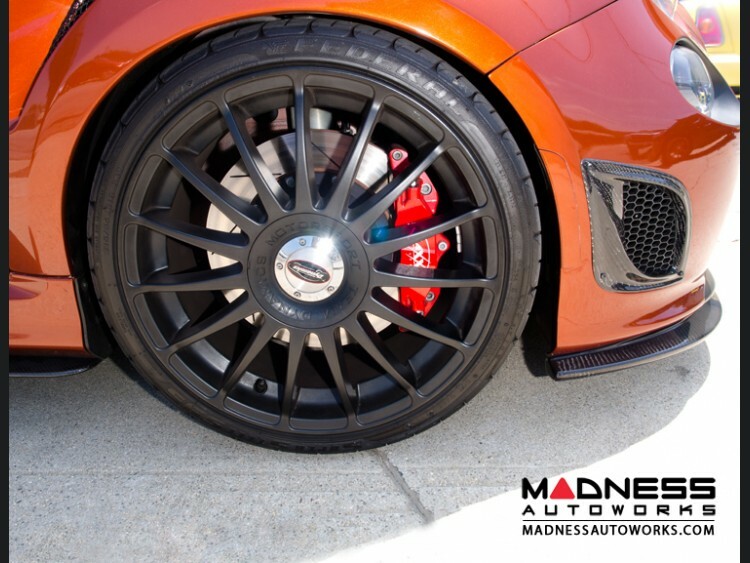 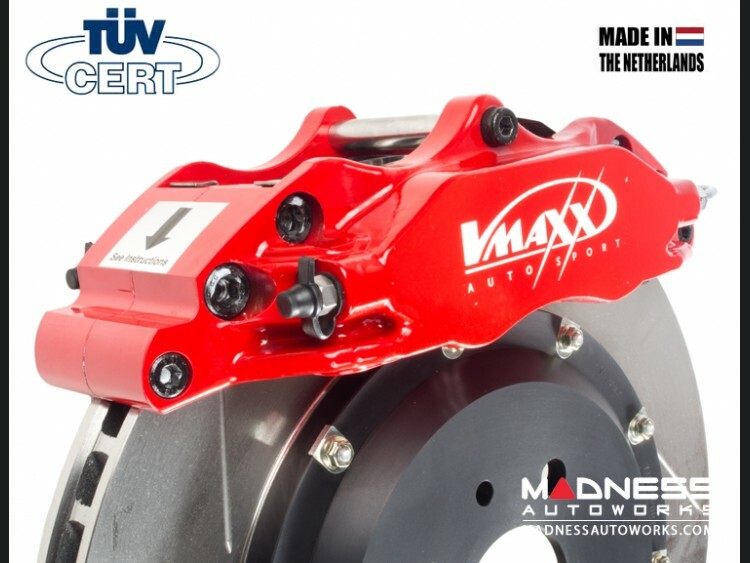 This V-MAXX Big Brake Upgrade Kit is designed specifically for the FIAT 500 and will fit all FIAT 500 Models (excluding 500L) that feature 17" or larger wheels. 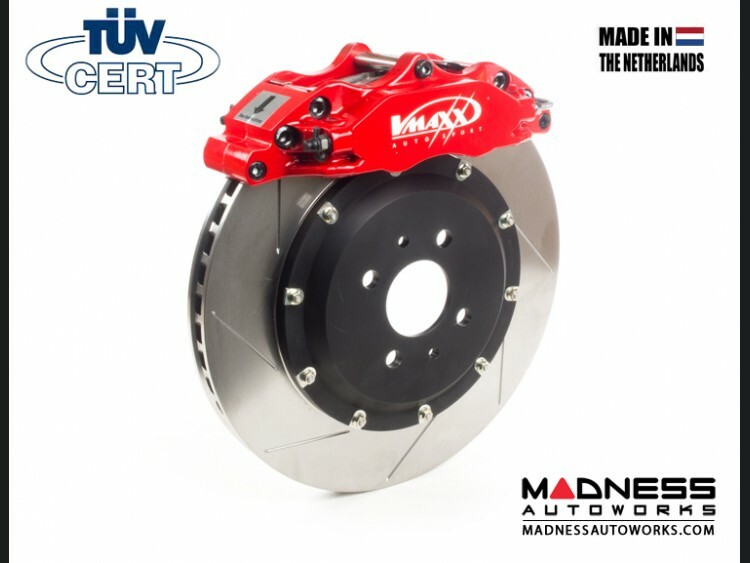 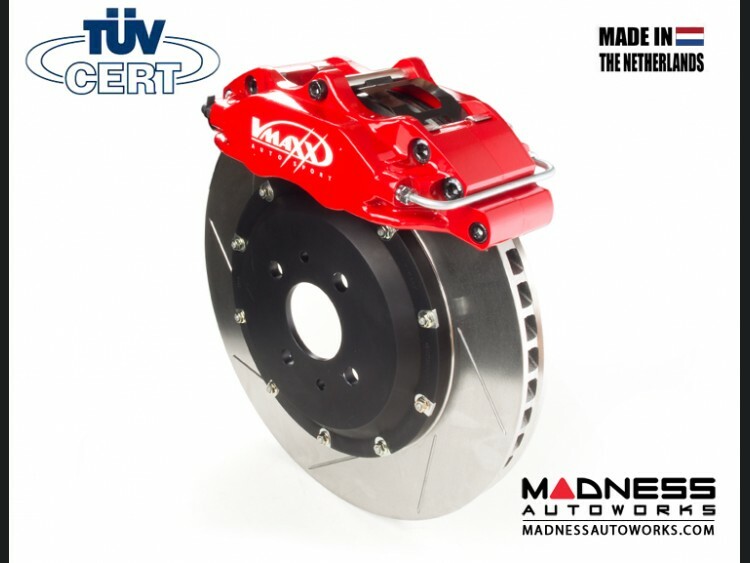 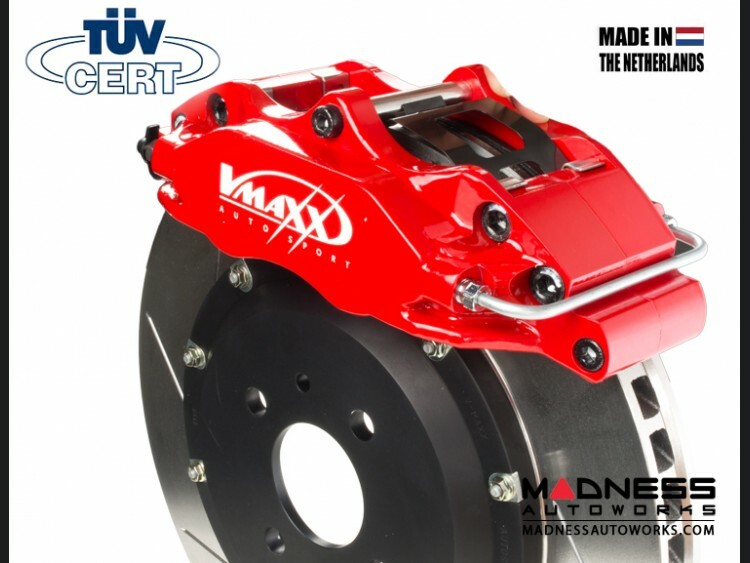 V-MAXX Autosport is based in The Netherlands and offers a complete range of sport suspension and sport brake products that are distributed to dealers in over 65 countries. 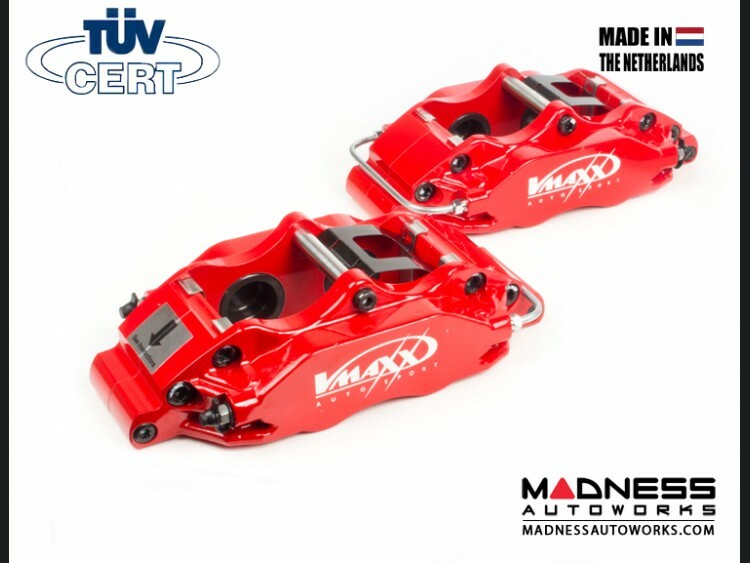 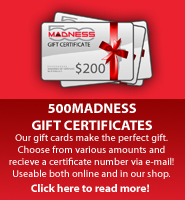 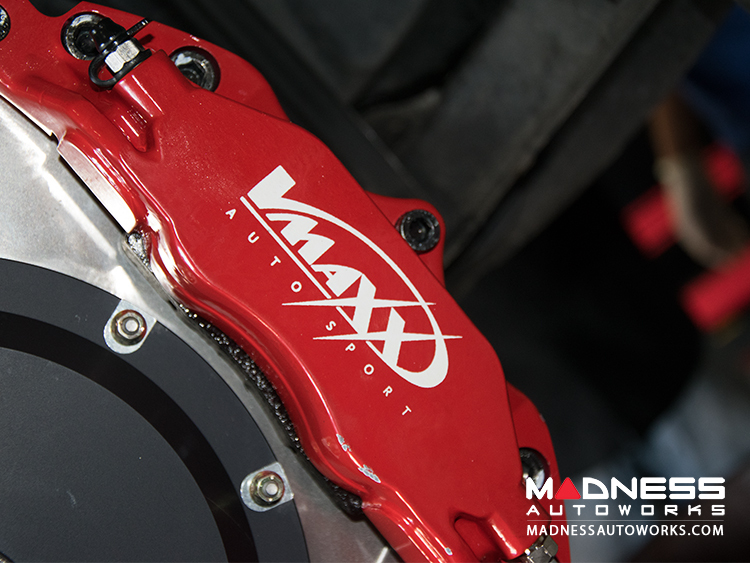 MADNESS is the exclusive distributor of the FIAT 500 line of V-MAXX Products in North and South America. 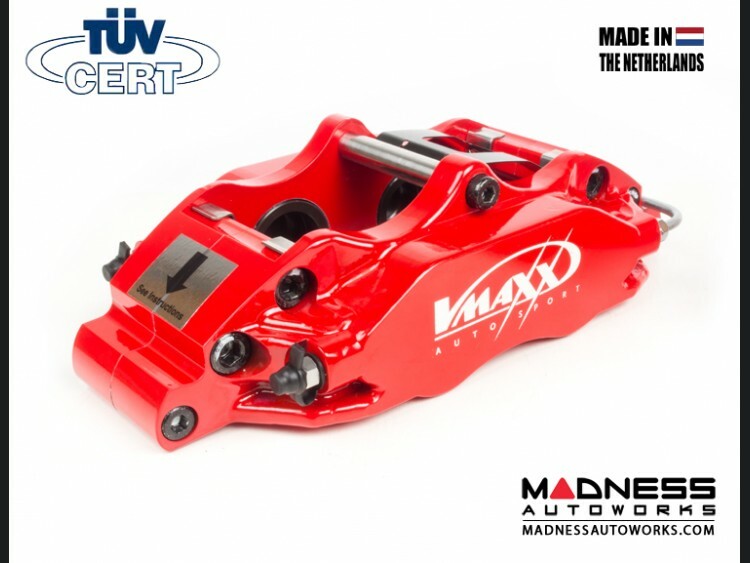 V-MAXX is known for offering outstanding value for money and innovative design. 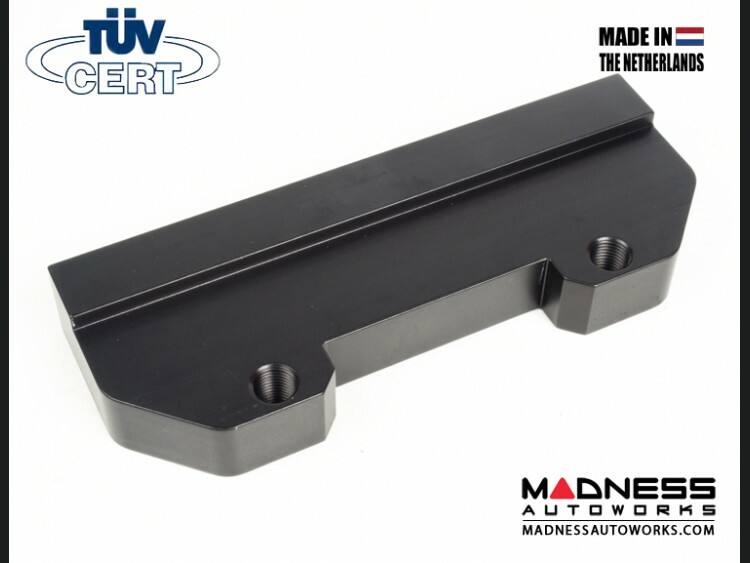 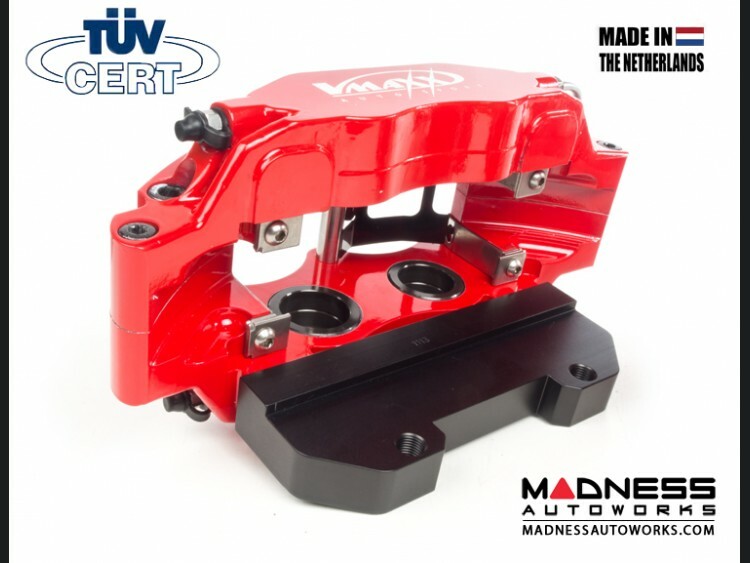 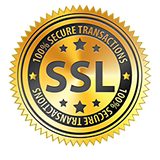 V-MAXX products are all individually German TüV approved and come with a 2 year manufacturer warranty. 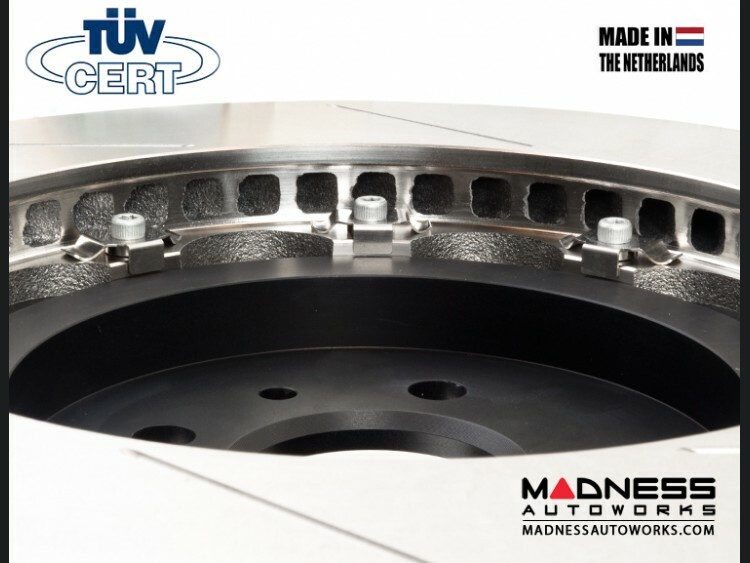 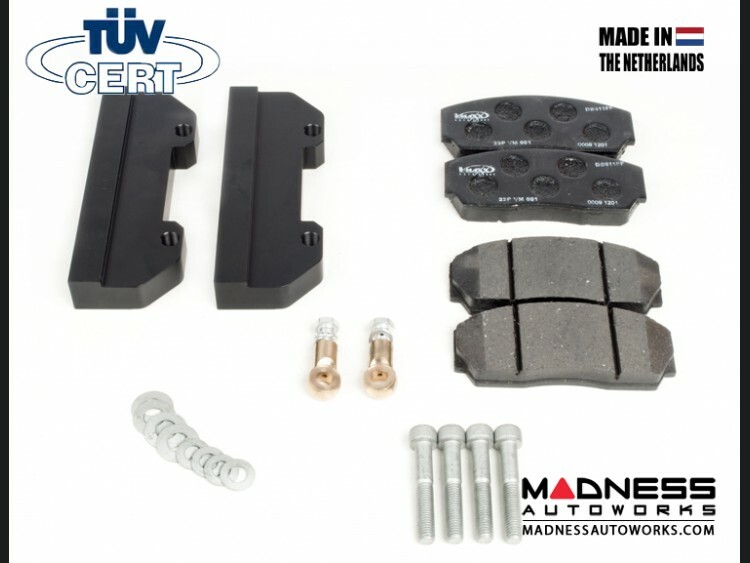 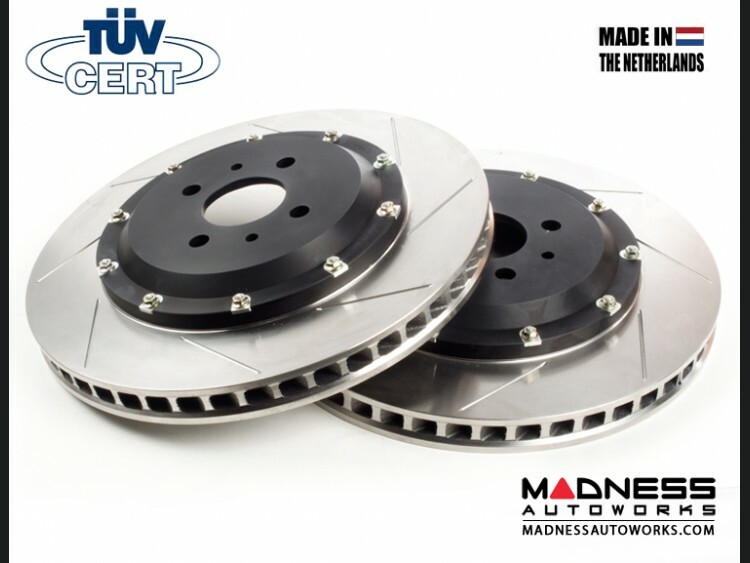 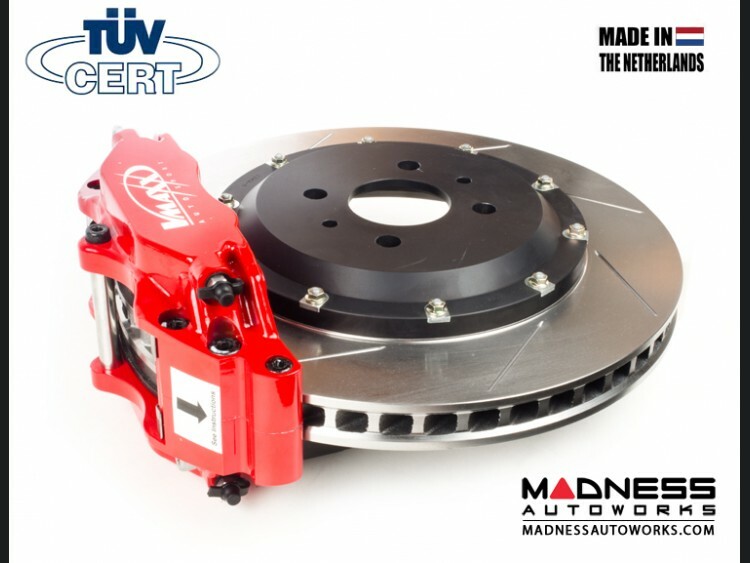 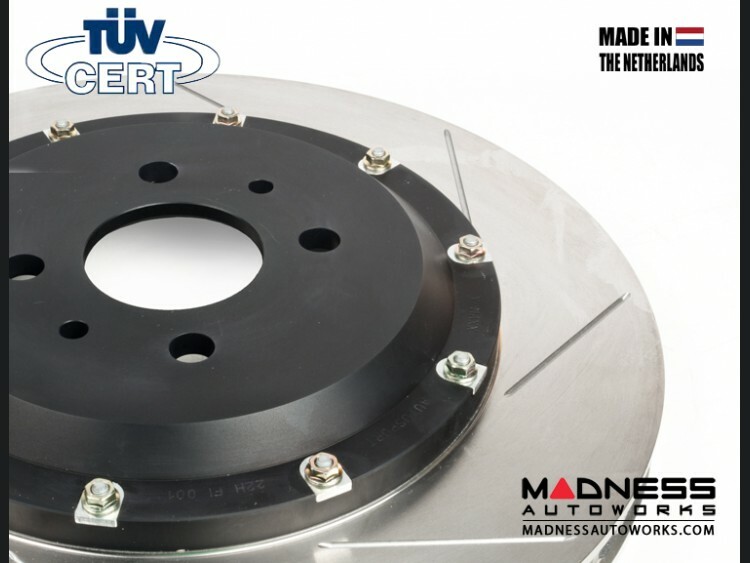 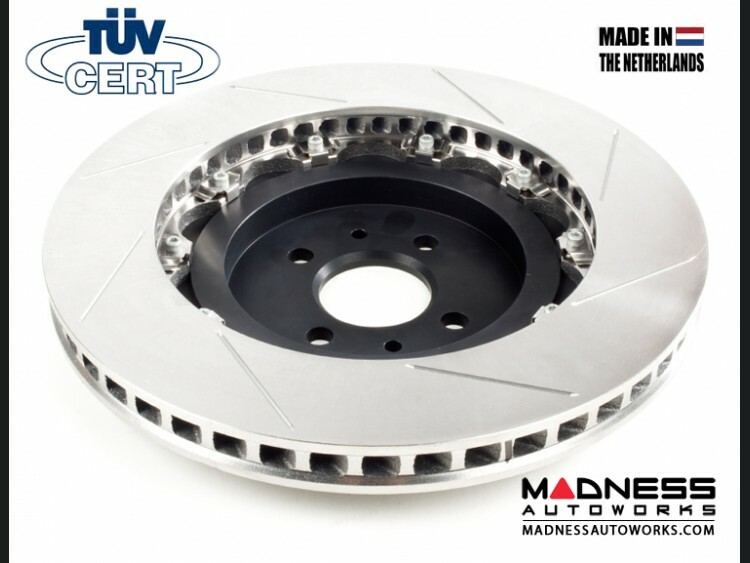 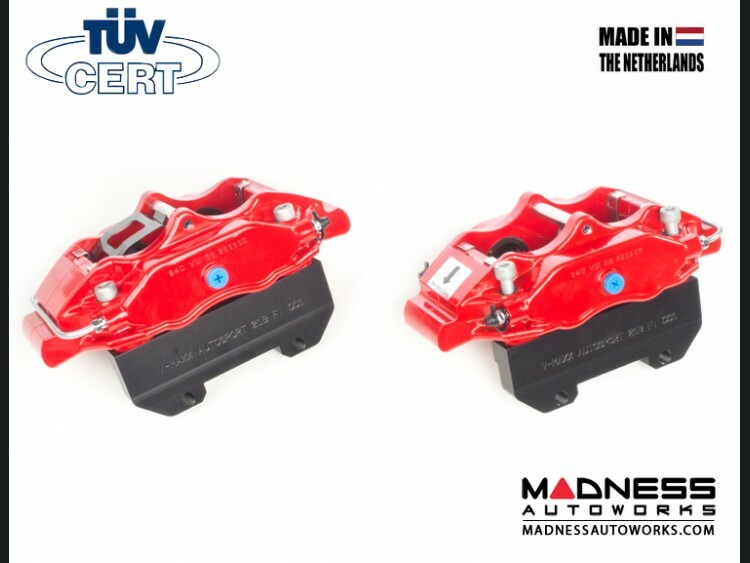 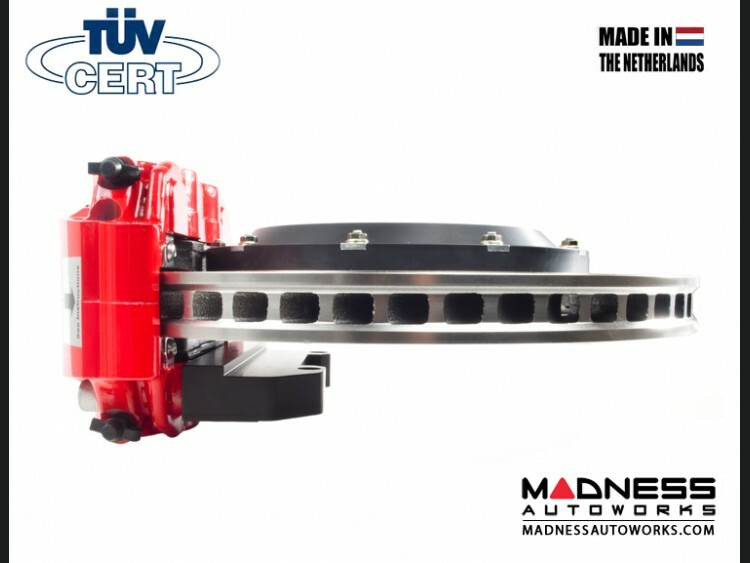 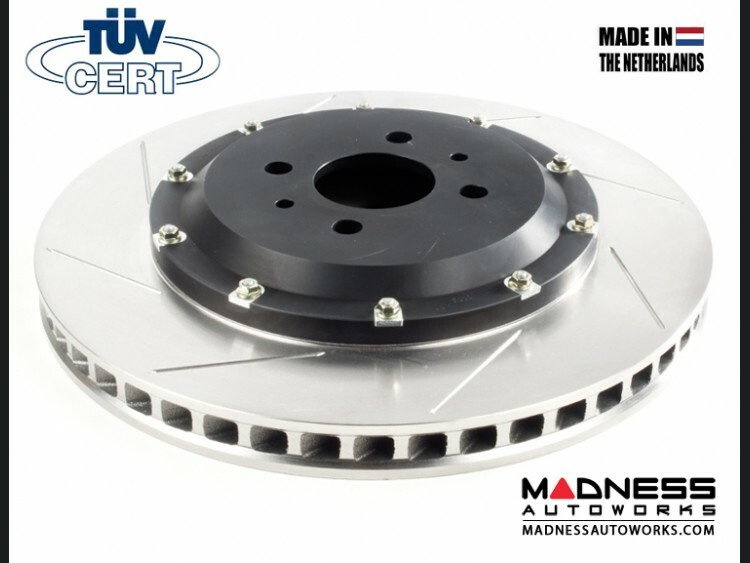 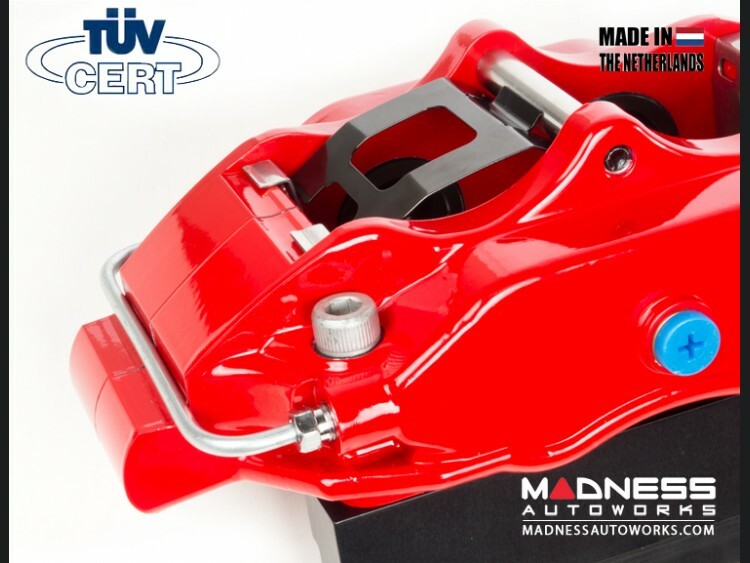 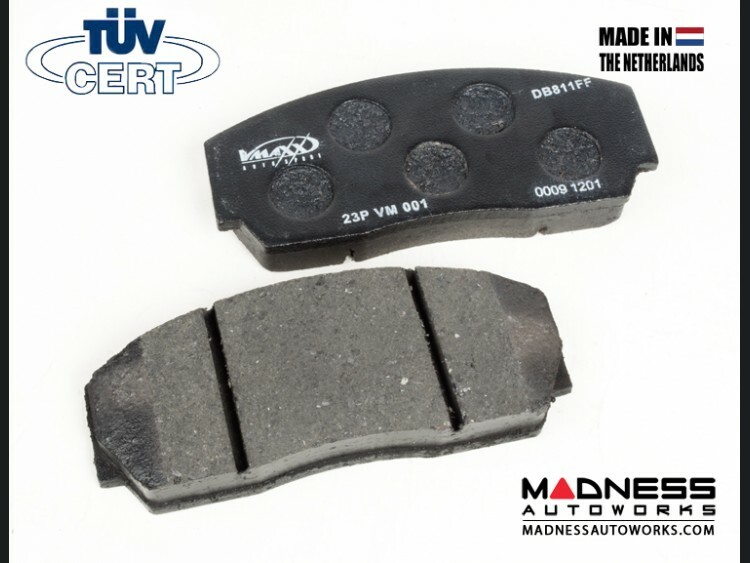 Not all brake kits that are sold for the FIAT 500 are TüV approved!